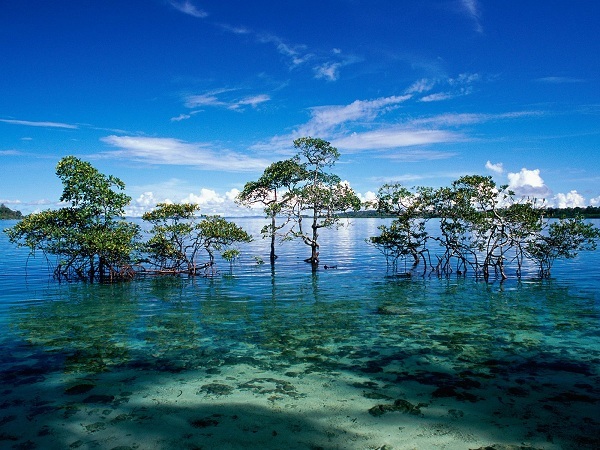 The Andaman and Nicobar Islands stretch like a string of jewels across the Bay of Bengal. 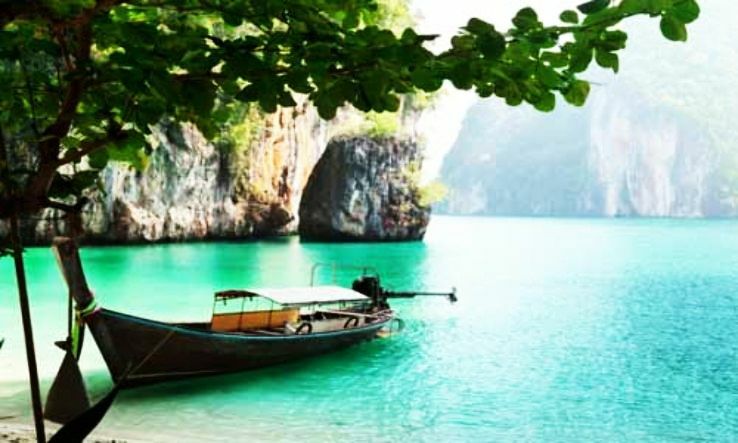 In all there are 572 small and large islands of which only 36 are inhabited and of these only the Andaman Part is accessible for tourists. That leaves out 22 islands comprising the Nicobar chain. Still, what is left is a tropical paradise of supreme pristine beauty. The islands lead out to golden beaches and blue waters of the ocean while a bit inland you see the start of dense forests. As you travel inland you go deeper into lush tropical vegetation that may lead you up into mountains, the flora and fauna changing as you go along. If it is variety you seek you are not going to be disappointed. The two islands have been populated since thousands of years. Some believe the name is derived from Handuman, the Malay name for Hanuman. Andaman Islands are home to people of Negrito origins comprising the present day Onges, Sentinelese, Jarawas and great Andamanese while the tribes of Nicobar are Mongoloid in origin comprising the Nicobarese and Shompen tribes. At one time it was under Maratha rule and then it was taken over by the British and Kalapani is the name it went by since freedom fighters were imprisoned here. Thereafter the islands have become home to people from all over India and you will find that many languages such as Malayalam, Telugu, Tamil, Punjabi, Hindi and Bengali are spoken here by people belonging to Hindu, Buddhist, and Christian and Sikh faith. 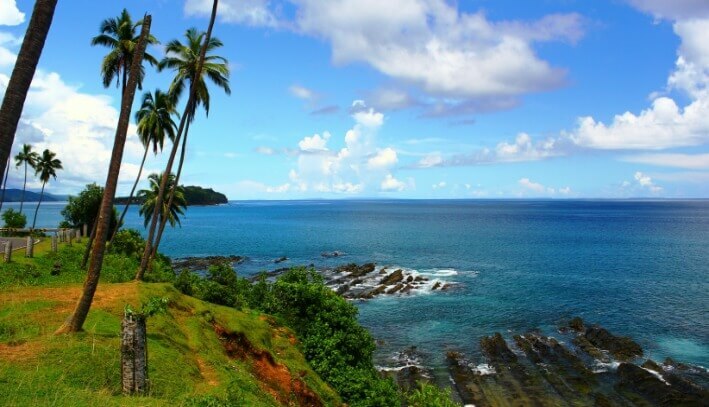 Since Port Blair is the entree point and also has plenty of attractions you could spend some time here exploring its beaches, the city and its attractions. The city is small and you can walk around to explore the attractions of Aberdeen Bazaar or Junglighat. Better Still, hire a local auto rickshaw which is considerably cheaper than private cars. Visit the infamous Kalapani or cellular jail and take in the light and sound show. 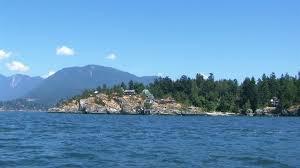 After that you can head for Ross Island, one time HQ of the British, a journey of 25 minutes by boat. Next, Corbyn’s Cove beach with its unique coconut grove should be on your list though it may be a bit crowded so you have an alternative in Wandoor, about 25 km and a lovely place with coral reefs where you can watch marine life in a glass bottomed boat. Another unforgettable place is Chidiya Tapu or Bird Island, also 25 km from Port Blair and this is where the tropics come alive in lush green forests resounding to the cacophony of myriads of birds. Cinque island forms part of the Mahatma Gandhi Marine National Park and is endowed with some of the richest biodiversity. The sea and beaches will open up their fabulous collection of starfish, sea anemones, crocodiles and turtles whereas, farther inland, it is exotic trees and plants and the fauna that will capture your attention. This is perhaps one of the more beautiful of islands with very little human population and a lovely beach along Merk Bay with coral reefs. The star attractions are dolphins, going underwater snorkeling and swimming. Take food and water along and plan to return by night because there are no accommodation facilities here. 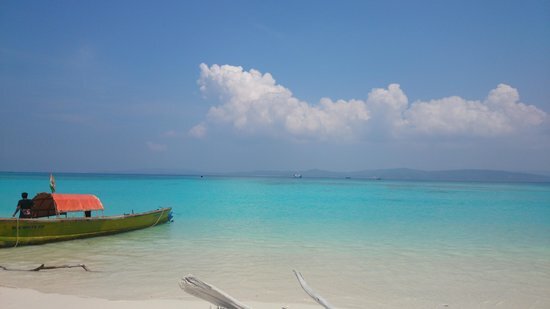 Havelock Island is about 50 km from Port Blair and is one of the most charming destinations you will come across. The coast is ringed with lovely beaches leading out to blue seas. 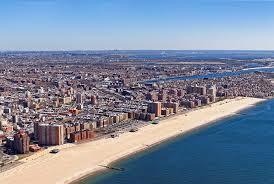 There are three beaches here. One is the Elephant beach on the North West side of the land. The second one is Vijaynagar beach which is to the east of the Island. The third is Radha Nagar Beach. You can laze on the beach, go swimming or scuba diving and stay the night since accommodation is available on this island. Radhanagar beach is Asia’s best beach with stretches of white sand and exceptional tranquility. This is a small island with a small population but with one of the loveliest beaches at Lalaji Bay. You can reach the spot by walking through a forest or by taking a boat. You can relax here or go snorkeling. Long Island is also the gateway to other tiny islands such as North Passage Island, North Button, South Button and Middle Button Islands and Guitar islands known for their fabulous underwater marine life. Diglipur is the farthest, at a distance of 300 kilometers, which means an overnight journey by road. You can spend a couple of days at Diglipur exploring the Saddle Peak National Park. 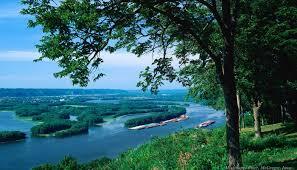 The dense and lush green forest with its flora and fauna will keep you enthralled. After you have had your fill you can relax at the Kalipur Beach and then go on to explore the Ross and Smith Islands to watch turtles at the Ramnagar Beach. 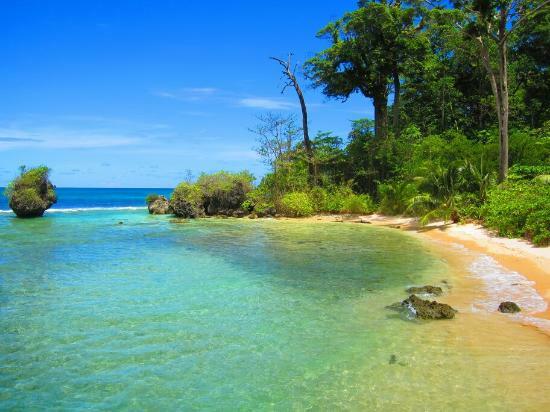 Baratang Island, about 100 km from Port Blair, is another lovely and scenic destination with its beautiful coastline, untrammeled beaches and forests in the interior. Here you can go scuba diving if you like or go trekking into the jungle or on bird watching or camping tours. You must visit the Mangrove creek and Limestone caves, the two most famous attractions of this land. Boating under the canopy of mangroves is an experience in serenity. The limestone cave is even more enchanting. After that it is onwards to Parrot Island to let your ears ring with the trilling of parrots as the sun sets spectacularly in the sea. Just for some relaxation you can go on to the Baludera Beach about 9 km away. Jolly Buoy is a colorful paradise and gives you the opportunity to wander through the Mahatma Gandhi Marine National Park. A ride in the glass bottomed boat is unforgettable and you can swim, go scuba diving or just soak in the sun and breathe the pure air. 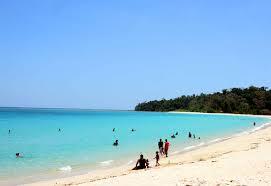 About 36 km from Port Blair you will come across Neil Island, a nicely populated and thriving settlement. Go a little way off from the bustling bazaars and you will arrive at some of the loveliest beaches. There are three beaches in all here: Lakshmanpur, Bharatpur and Sitapur with ample opportunities for swimming and scuba diving. If you have had your fill of beaches you can always go wandering in the green fields or walk under a canopy of green forests. If you want to retire and live a peaceful life, Neil Island could be your choice since it has facilities, fresh natural food and nature all around. 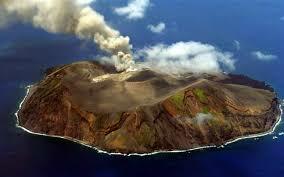 Barren Island is about 139 km from Port Blair and must be visited because it has an active volcano spewing smoke. As the name suggests, the island is rocky and barren with the live volcano forming the focal point of attraction. You will require prior permission of the Forest Department to visit this island. 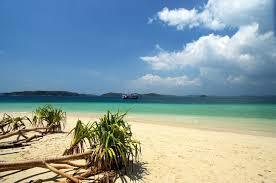 After Port Blair the one place you must not miss is Little Andaman located right opposite the Great Andaman Island. The island is richly forested and also two lovely waterfalls. The Whisper Wave waterfall is about 20 km from the Hut Bay Jetty and the White Surf is a bit closer at 6.5 kms. You can enjoy elephant rides on the plantations and have a lovely time. As for beaches, Little Andaman is well known for its Butter Bay Beach, a perfectly lovely place to spend the night. During the day you have ample time to go boating along the creek and watch birds and marine turtles. If you like you can go swimming or diving. Go farther inland and you enter a different world of green tropical forests. The climate ranges from moderately warm in winter to hot in summer so you can visit anytime. Winter may see the place a bit crowded but with the weather so pleasant this is perhaps the best time to visit these islands and enjoy nature like never before and at an affordable cost too. This is one place where time stands still and you are at liberty to just relax and recharge your batteries. However, if action is what you want, action is what you get in the form of scuba diving, snorkeling, trekking, fishing and kayaking available at various destinations. People here are warm and friendly and there is a relaxed, laid back atmosphere you will find so inviting. If you are considering a trip to Bali or Maldives or Indonesia, think of Andaman and Nicobar first; it could be enchanting and unforgettable. If you are hard pressed for time you can catch a flight for Port Blair from Delhi, Chennai, Bhubaneswar and Kolkata. However, a better and leisurely way is to travel by ship from Chennai, Kolkata or Visakhapatnam. It may take four days but the cruise is an experience in itself you will love. You can travel first class and pay a fare of around Rs. 7000 or go for the cheapest bunk costing around Rs. 1700.